Missing teeth? Learn how dental implants by Austin periodontist Dr. Kurt Delius can transform your smile, improve dental function, and lead to a lifelong beautiful, healthy smile. Keep reading to learn more then schedule an appointment with our dental implant specialist. 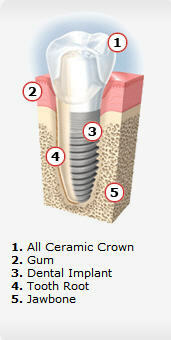 Call Central Texas Perio and Implants today!